Clara Clayton is Lizzette’s second caravan acquisition. Clara Clayton is a rare New Zealand built retro caravan manufactured by Auckland Caravan Company in 1959. Lizzette got the caravan in almost original condition. The works on the caravan are still ongoing. It has had most of it’s interior re-fitted as well as the paint stripped off the outside. The finalized caravan will be featuring teal, fuchsia, mahogany and cream color scheme. 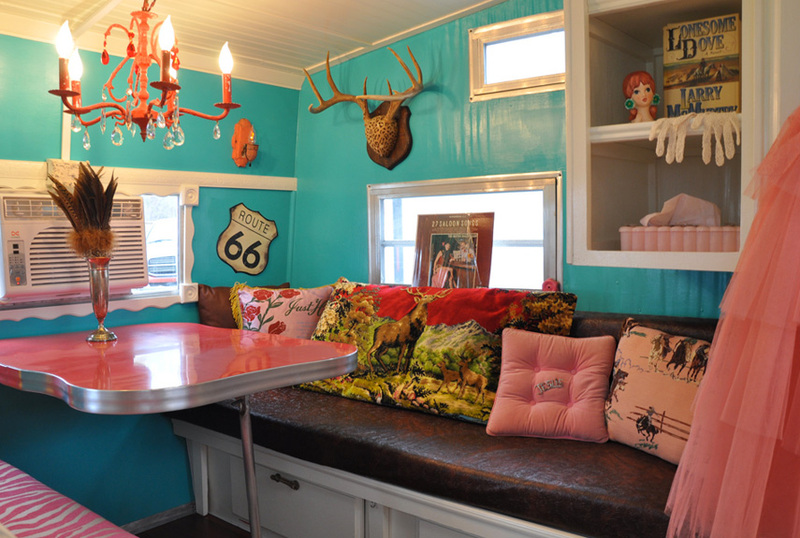 Inspiration for Clara Claytons future interior comes from Country Living’s 14 Gorgeous Camper Decorating Ideas.